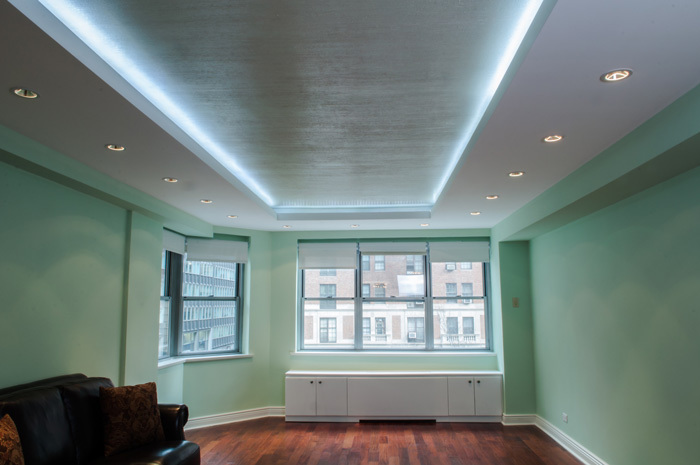 Cvm Contractors also covers the design of the LED lighting environment. A spectacular lighting system for the most demanding clients. It has expanded to additional line and low voltage lighting systems for use in a variety of residential, architectural or commercial applications. The entire Ambiance line now includes linear, LED, disk, standalone, track, ceiling and miniature lighting systems; Many of which are available with LED lamps. Our products are designed to be high quality, customizable lighting solutions at an affordable price for those who specify lighting and for consumers alike. Each of its systems comes in a variety of styles and finishes with pumping options that allow you to create the look that is right for your project. If you are a lighting designer working in a new commercial space or an owner who wants your home to stand out, we will make the necessary configurations and installations to obtain that perfect lighting effect at all times. We offer an innovative proposal to fill the desired space with style, lighting and color with the best promotions in the industry. Led tape And much more. Lighting, night spots, restaurants, etc. Come to our offices or if you prefer contact us through our phone number, contact form, social networks or online chat.